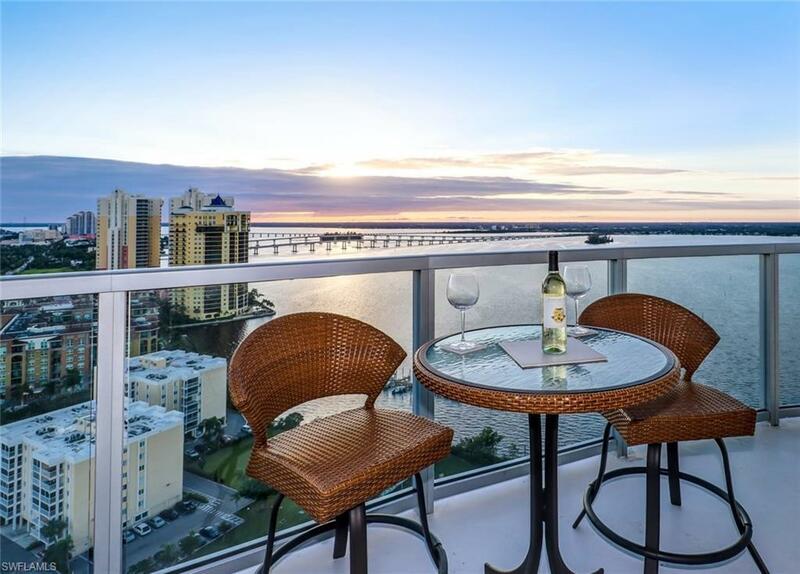 This 24th floor LUXURY WATERFRONT CONDO features 2 private terraces with 300 degrees of BREATHTAKING VIEWS! Sophisticated wood-look laminate and tiles make this condo immaculate thus comfortable. 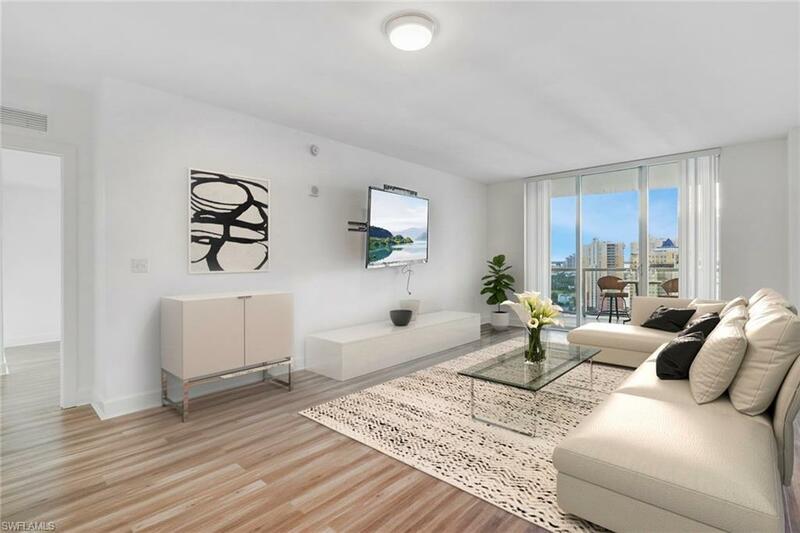 Enjoy the spacious floor plan boasting over 1,854 sq feet of living area and in addition a West Terrace featuring 257 sq.ft and an East Lanai of 142 sq.ft. Indulge in the gourmet kitchen with GE Monogram & Bosch Appliances, upscale granite counter-tops in both kitchen and the bathrooms. Floor to ceiling impact windows & glass balcony railings. 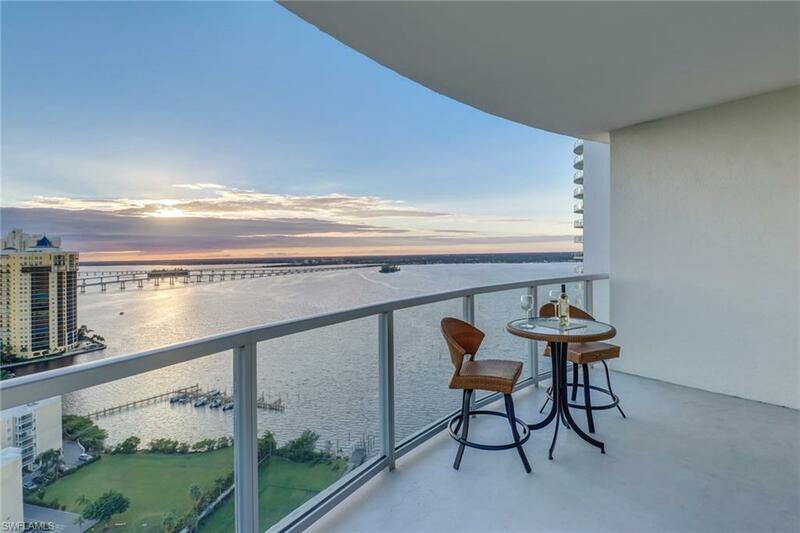 This condo offers expansive water views from every room! Covered parking in the attached garage - excellent parking spot location. **World class amenities: This resort-style pool with SPA & sauna is one of the nicest pools you can find. State-of-the-art fitness center, concierge service, tennis courts, etc. Meet your friends in the resident only lounge, billiards room & entertaining room. 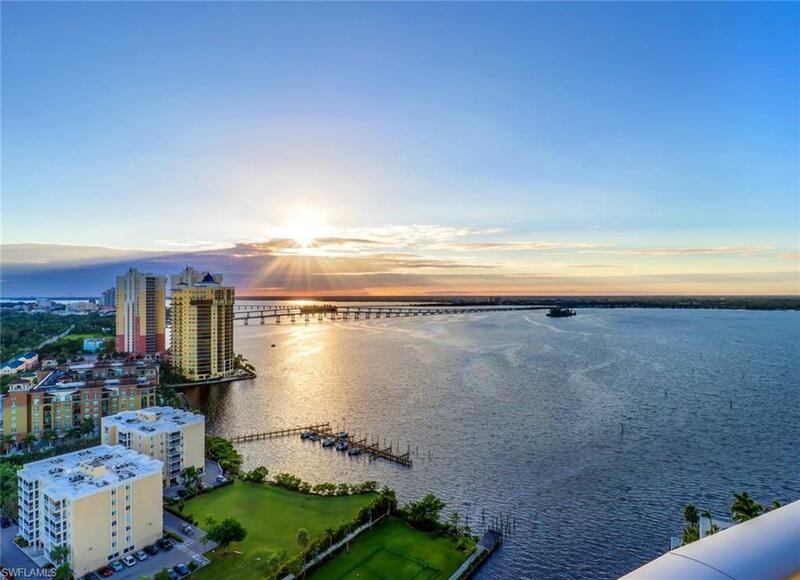 The Oasis is the most contemporary 33-story tower in Fort Myers. Located a short distance from the Downtown River District with dozens of restaurants, bars, shops and galleries. LOVE the relaxed lifestyle of the Oasis, Southwest Florida's most coveted address!